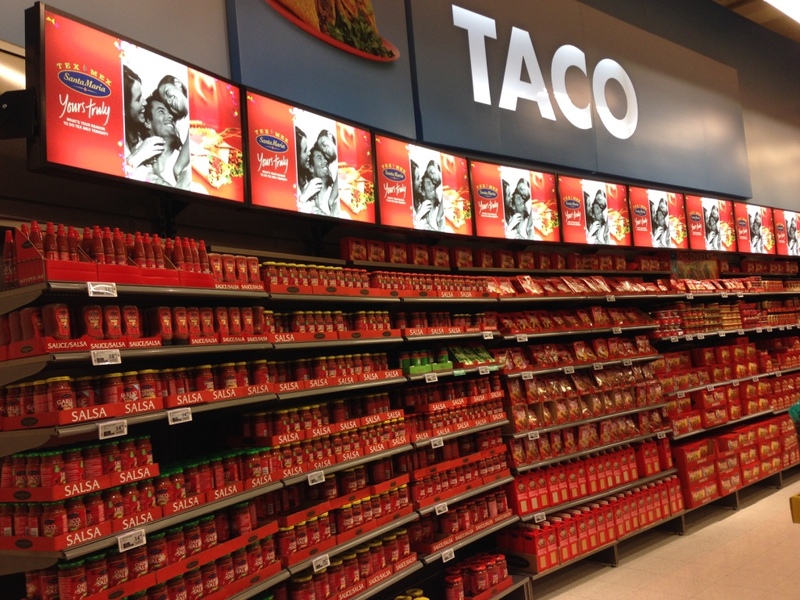 Even before my husband and I moved to Oslo, we heard about Norwegian’s love of tacos. In the States, we call it “Taco Tuesday” though I don’t need many of us actually have tacos every Tuesday. I remember taco night fondly growing up. In Norway, it’s Taco Friday (Fredag) and according to a 2012 study by VG (newspaper), 8.2% of the Norwegian population eats tacos every singly Friday. That’s about 400,000 people. Well, we love the idea and have had tacos nearly every Friday since moving to Oslo. 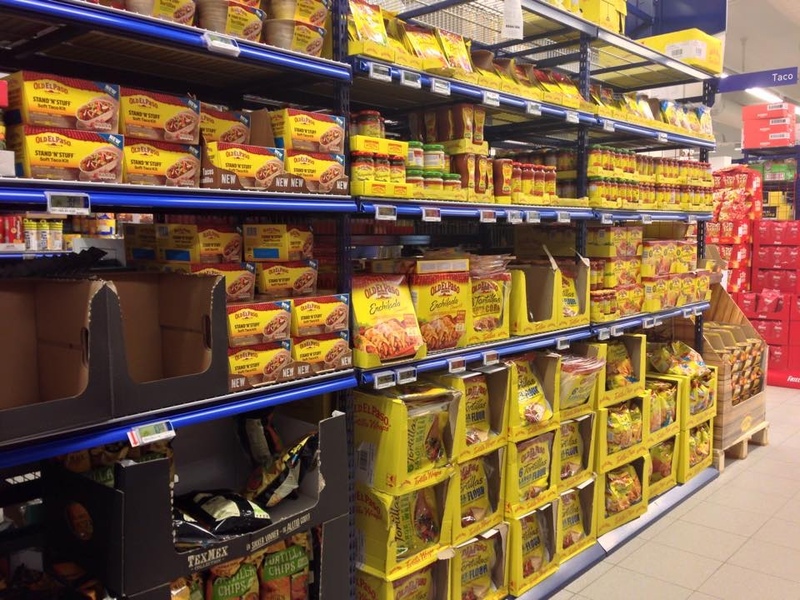 Making tacos is extremely easy as there are entire aisles devoted to tacos here. Old El Paso is particularly popular. I think you get the deliciously cumin and chili powder filled picture. So, when in Rome, right? If you go on instagram or twitter and search for #fredagstaco, you’ll find an assortment of traditional and creative tacos. Go ahead… hit the links there. 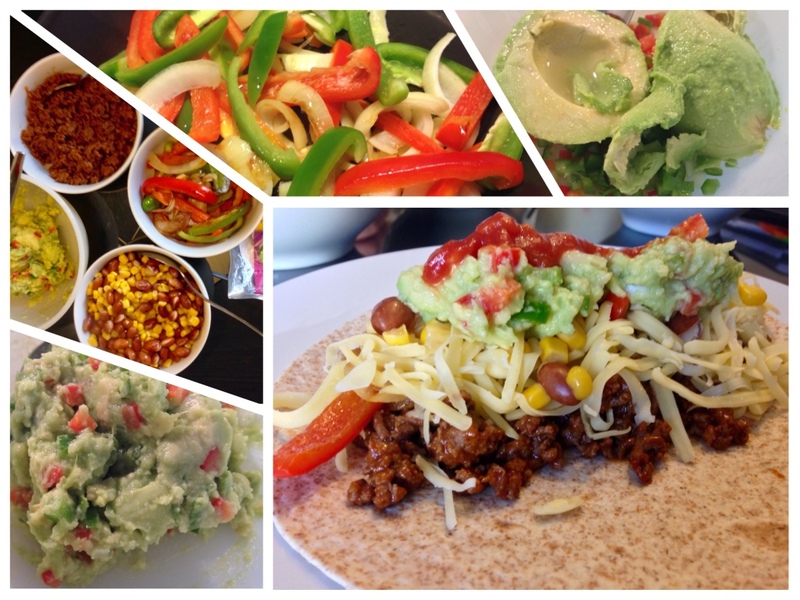 Many are drool worthy from tacos with ground beef, chicken or even fish… and salads, pies, and standard taco shells. Creativity doesn’t stop there… let’s not forget the toppings. I think, above all, sliced avocado or guacamole are my favorites. 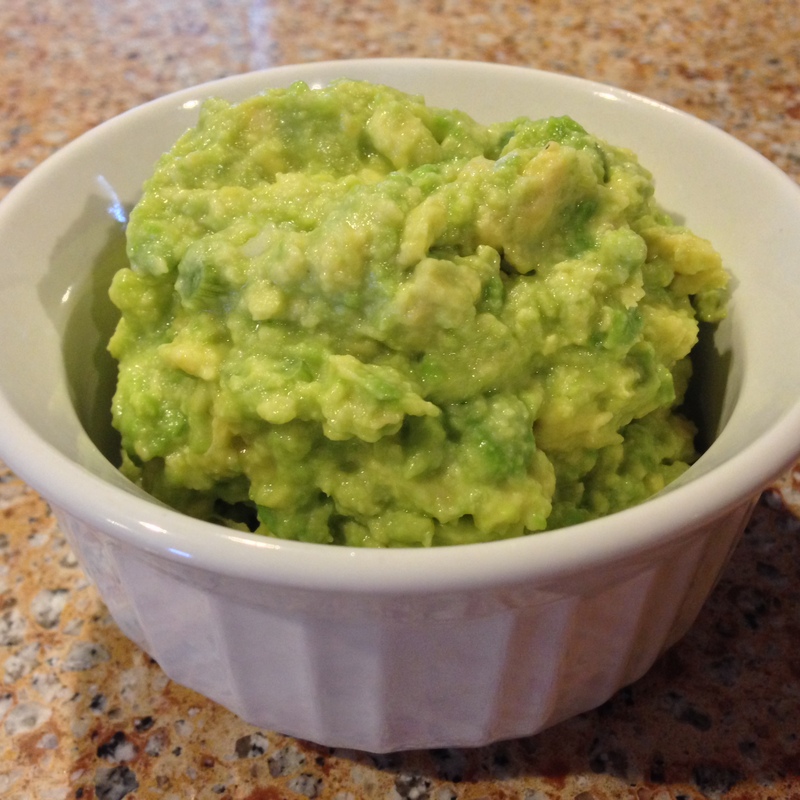 In fact, I want to share a simple guacamole recipe that has only 4 ingredients. Cut the avocado in half and remove the seed. Scoop out the avocado flesh into a bowl. Add a dash of salt and use a potato masher to mash avocado. Mash it to your liking (chunky vs. smooth). Roll the lime on the counter to get the juices moving inside the fruit. Cut the fruit in half and juice the lime. Add the juice of one lime to the avocado. Dice the 4 green onions. It’ll produce a little over 1/8 of a cup. Add to the avocado and lime. Stir with a spoon. I sometimes use the back of a spoon to mash it a bit more. The more lime you put in, it can get soupier than you’re used to for guacamole. I love it though – lime is one of my favorite flavors (obviously). This recipe can easily be doubled, tripled, quadrupled, etc.. You can also add some chopped peppers for crunch or jalapeños for crunch and heat. What’s your favorite taco topping? One of the greatest things about this tradition is that we now feel at home in Oslo. Every Friday, we share taco night with a good portion of the country. Tacos are accessible, customizable, and well loved. Ooo I’m going to have to try that guacamole recipe. Sounds really good! It’s da bomb. Not nearly as strong as the red onion with a lovely onion flavor and crunch.